Tuesday I went to the Dr. to have my regular ultrasound and they saw my cervix was thinning way too quickly.. 15 mm when it is supposed to be 30 mm. This would be totally fine if Iwas 35 weeks, but I am only 24 weeks. So I am now on bed rest until I deliver (which will hopefully be in February). I also have weekly appointments at the doctor for a check up to make sure I’m stable. A big change of life – having to quit school 1/2 way through the semester, quit work, no cleaning, no walking around.. but the reward I get at the end is a beautiful baby. Having our baby is absolutely worth any sacrifice. I get to sit here on the couch while Nathan takes care of my every need- to some women that may sound like a dream, but I really don’t like being waited on hand and foot. Nathan has been wonderful though. – couldn’t ask for a better partner. I am going to start a sketchbook for the baby since I have so much time on my hands. This is a great, inspiring article. If you have kids or not, its a great one to read because you can always lead and influence by example- no matter what your age. Autumn is in the air. Halloween is coming up, great time to be in Michigan. step 1: the first layer is twigs. take long ones that are semi-dry and bend them together in an oval shape and twist wire around them. use only long ones for this, because it makes the frame stronger. layer as many twigs in an oval as you can, alternating where the “seam” (where two twigs come together) is so its not fragile. The key here is to get it as sturdy as possible. step 2: the second layer is thin pieces of bark and some more twigs. add the bark around the twigs, making the seams stronger, and adding bulk, texture and depth- using the floral wire. This is really all up to you how to layer and add. Remember to twist smaller twigs and their fringe twigs into the piece to make it more interesting and for added strength. step 3: add the most interesting items last, so you can feature them. I used walnuts that fell from a tree, fluffy weed things and a nice piece of bark. These items also helped hide some wire that was showing. step 4: attach a loop of wire to the back for a hanger. Many things have happened since my last post. In my last post, I didn’t know it yet, but I was about 2 weeks pregnant! Nathan and I got married on July 12th, 2009. It was more than magical! I am 24 weeks pregnant and I am loving every moment (good and bad) . I feel like I am participating in the greatest miracle that I have ever experienced (besides myself being born). **A lot of things have come into focus in regards to real importance. I think the majority of things in life that bug us are self inflicted and are not key to life. Life has surely changed in the past 5 years. I have been increasingly happier year after year. I have been increasingly more confident year after year as well.. funny, I have the most confidence of my whole life, and I havn’t put on any makeup or gone to a hair salon in over a year. I feel great. 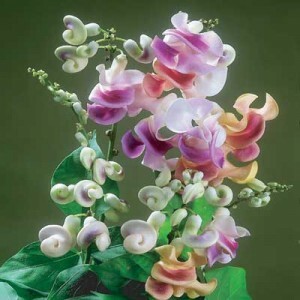 I hope more people can feel great very soon, that’s my hope. Sources: Farmacy Herbs, Karlo Berger, American Red Cross. Sage, Skullcap, Oregano, Thyme, Elder Flower, Holy Basil, Nettle. switches , handles, toys and other surfaces that are commonly touched. If you do come down with the flu, then focus on immunity! Grapefruit seed Extract: 1/4 teaspoon once daily. Wear a surgical mask when around others. Clean sheets, bedding and clothes every day. essential oil and sea salt. Caregivers should wear disposable gloves and wearing a mask when giving care. – my reward for some hard work today . 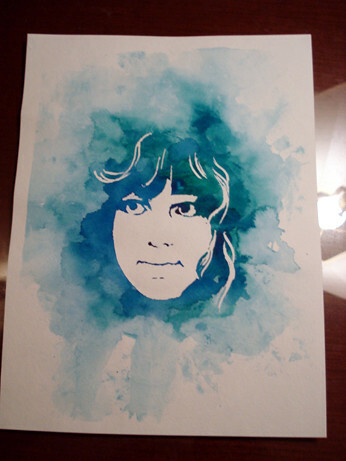 Watercolor Stencil Portrait + TUTORIAL – MORE ART, LESS CRAFT. Gosh I cannot wait to have my garden this year. I’ve become so enthralled with it. I can’t wait to get my hands dirty in the warm soil and see my plants come to life! Next week I am building my raised beds *weather permitting* and hoop house that will extend my growing season and keep my babies safe. I want to have a farm when I have all the time in the world to devote to it and educate people about how cool farming is and that growing your own food is as rewarding as it can get!! Respect of our Earth.. we only get one. Is that so hard? I know mass produced foods need to exist for those who cannot grow their own foods… but can’t those foods be treated with respect and grown in a way that their genetics and original structures are not modified in a lab? And can’t we figure out a way to preserve our foods from insects without harmful chemicals and pesticides? There are other ways to make bugs and pests go away with natural elements instead of chemicals. And hormones in food? do we realize what we put on and in our foods, go on and inside of our bodies ?? If we realize this, do most people even care? I am shocked to find when I bring this up to most people, they are not phased by it or even want to discuss it. I guess its a out of sight out of mind situation? We must respect all life forms around us by using common sense and the golden rule. Its not is a difficult thing to do. kimya_dawson_: The Case FOR Breastfeeding. Â Â Organic Consumers Association . The White House – Blog Post – Spring Gardening. To Write Love on Her Arms > Vision. Gelatin – Wikipedia, the free encyclopedia. Just so everyone is aware, Gelatin is ground cow BONE and other animal BONE..
so JELL-O and marshmellows etc… ground cow bone flavored with strawberry..
You know that point when your eyes just glaze over and whatever your reading seems to be the longest, most drawn out, complex, intricate, antithesis of meaning sentence ever written? Then your eyelids get hot and moist and you then realize.. it is time to sleep.